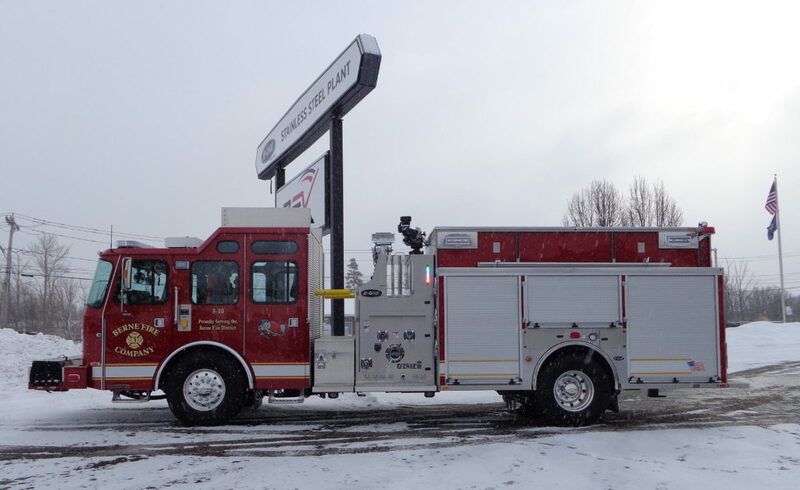 This E-ONE Stainless Steel Side Mount Rescue Pumper has a new home with the City of Cortland Fire Department in New York. 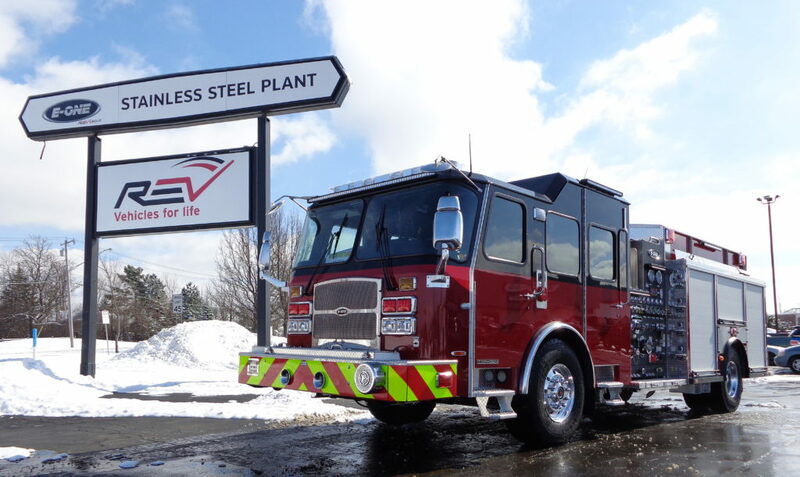 Manufactured in our Hamburg, NY, facility, it’s equipped with a Typhoon X long cab with 67.5″ CA and 12″ Vista, Cummins L9 450HP engine, Hale QMAX 2000 GPM single stage pump, 1030 gal water tank, and a Harrison 10KW MCR hydraulic generator. 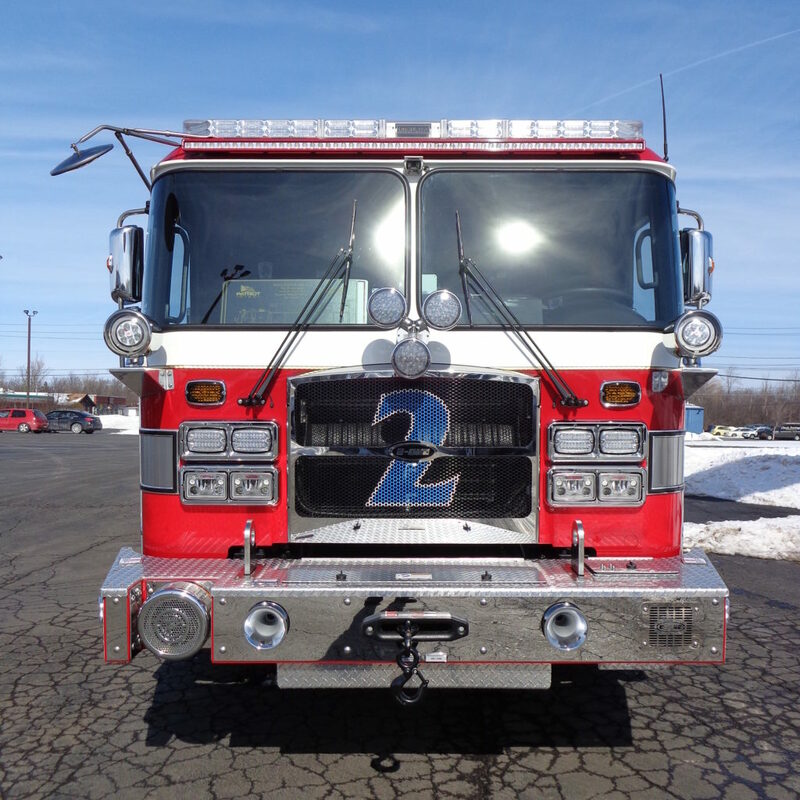 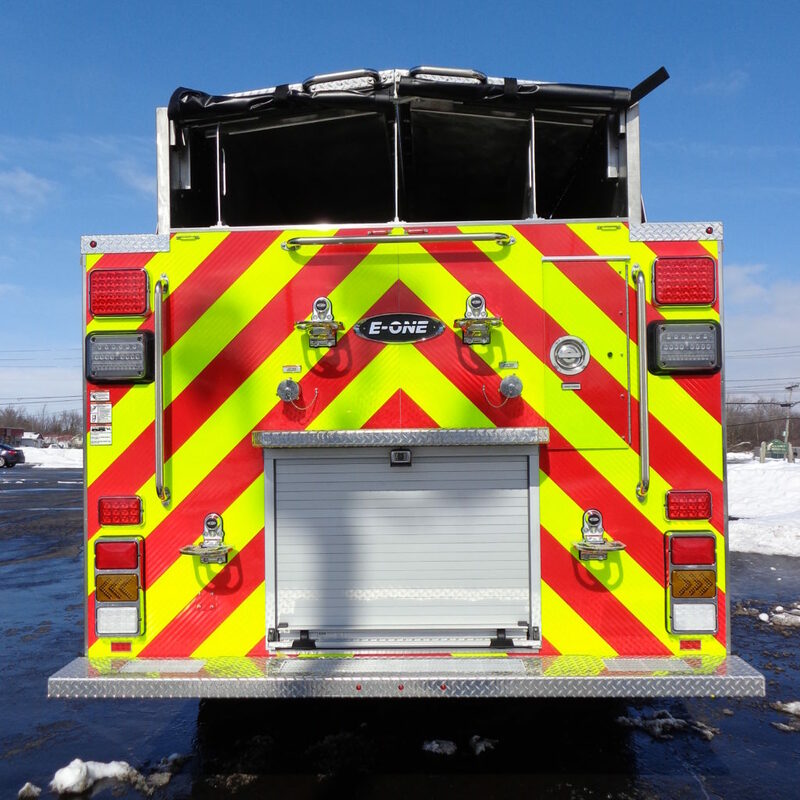 Thank you to the City of Cortland Fire Department for choosing E-ONE! 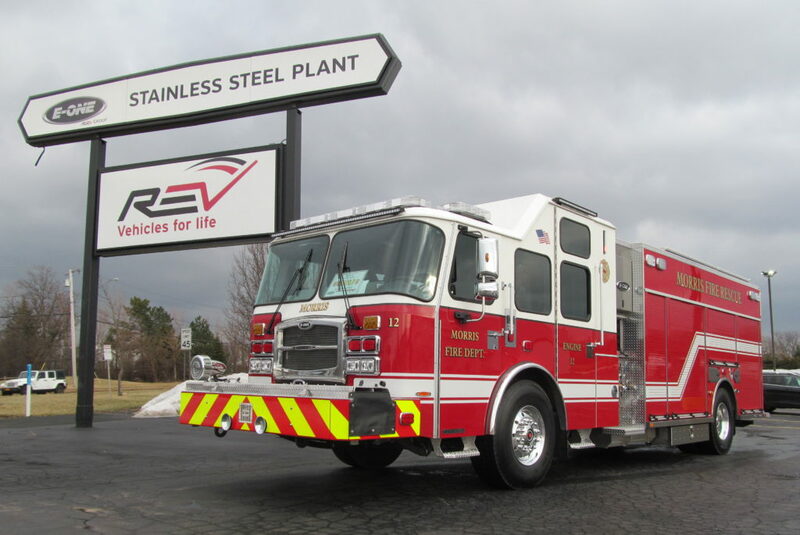 This E-ONE Stainless Steel Heavy Walk-In Rescue has a new home with the Prince Frederick Volunteer Fire Department in Maryland. 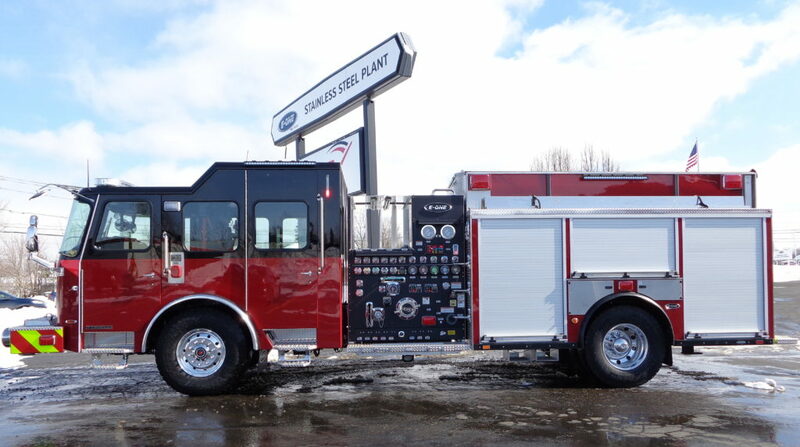 Manufactured in our Hamburg, NY, facility, it’s loaded with a Cyclone II X short cab with 44.5″ CA, Cummins X15 565HP engine, T-Case driven Hale CBP single stage booster pump, 250 gal water tank, and a Harrison model MCS 20W hydraulic modular component generator. 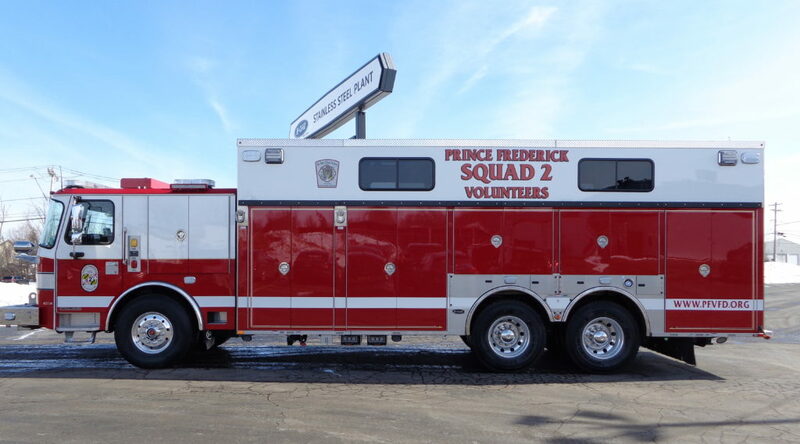 Thank you, Prince Frederick VFD, for choosing E-ONE! 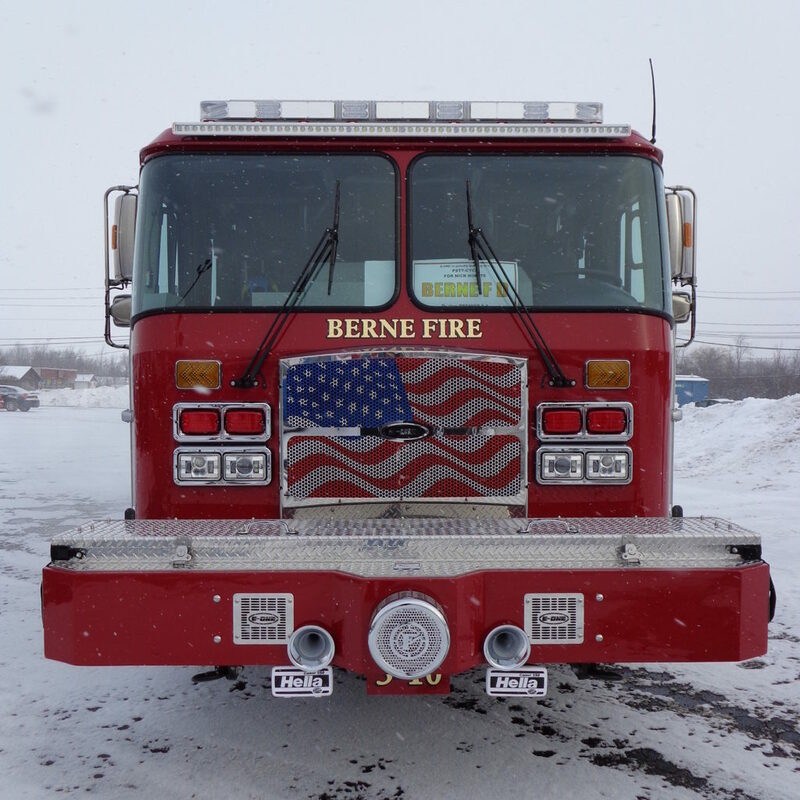 This E-ONE Stainless Steel Top Mount Pumper now resides with the Berne Fire District in New York. 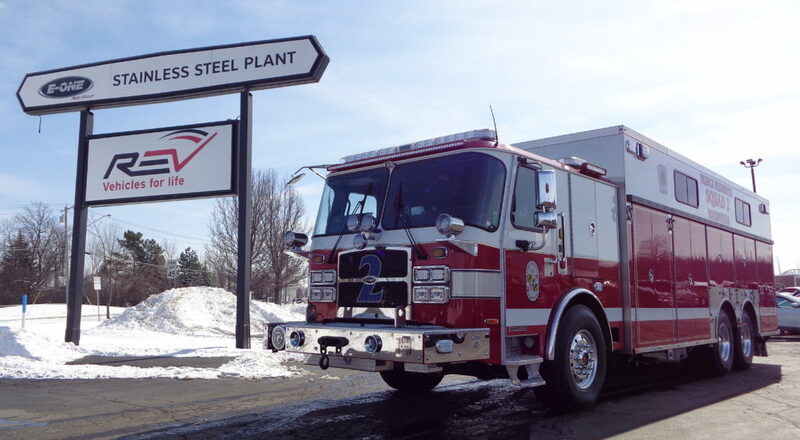 Manufactured in our Hamburg, NY, facility, it’s equipped with a Cyclone II X medium cab with 58″ CA and 12″ Vista, Cummins ISX12 500HP engine, Hale QMAX 1750 GPM single stage pump, and a 1530 gal water tank. 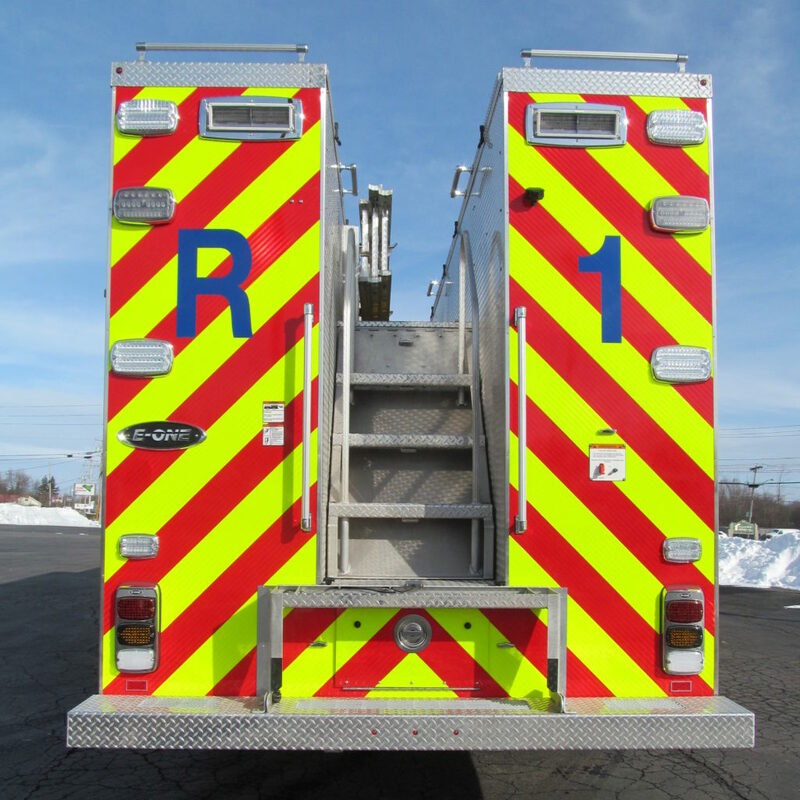 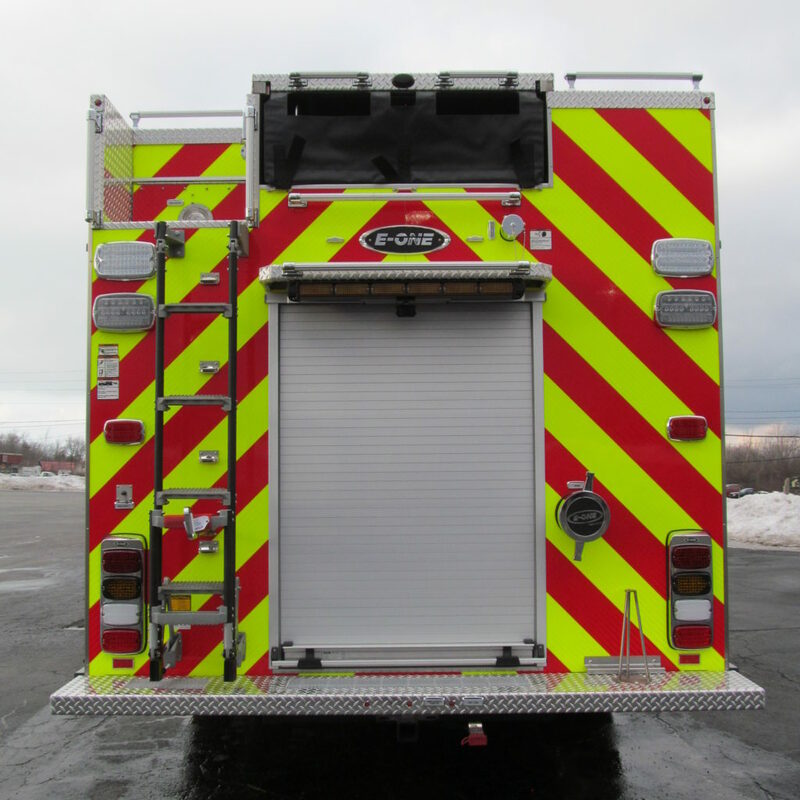 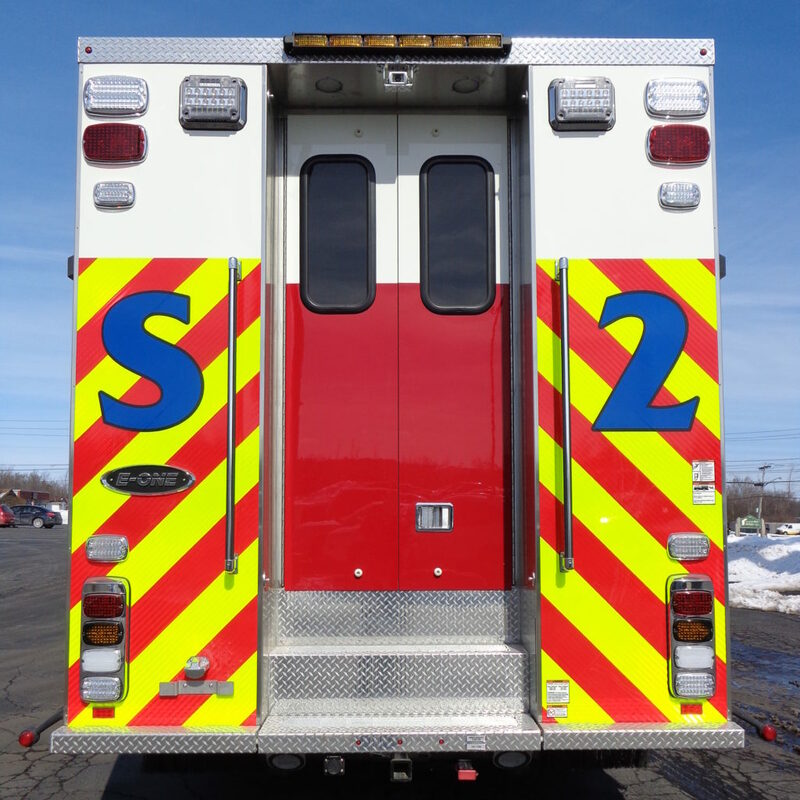 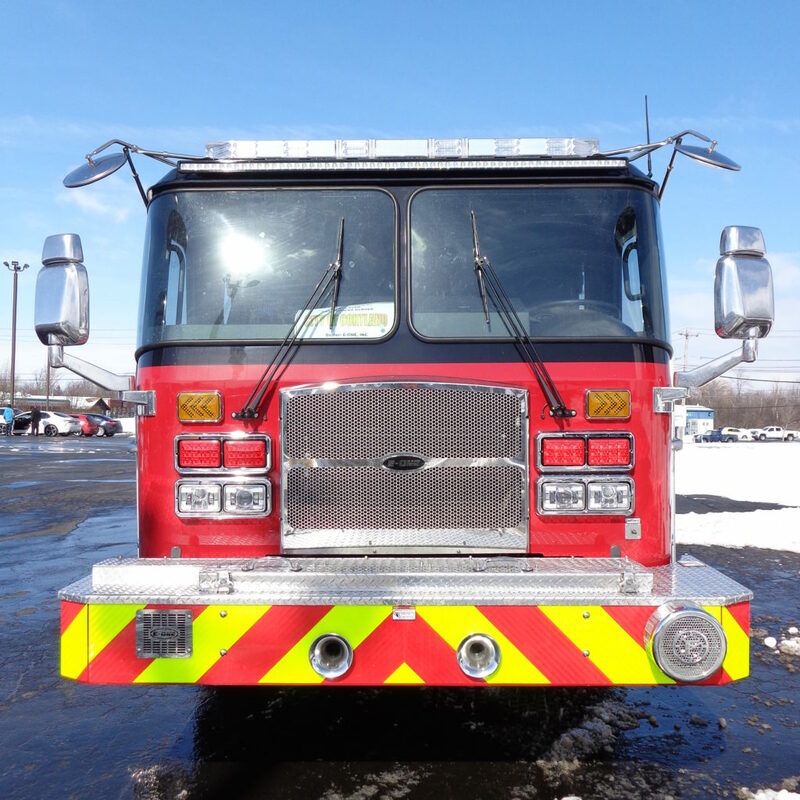 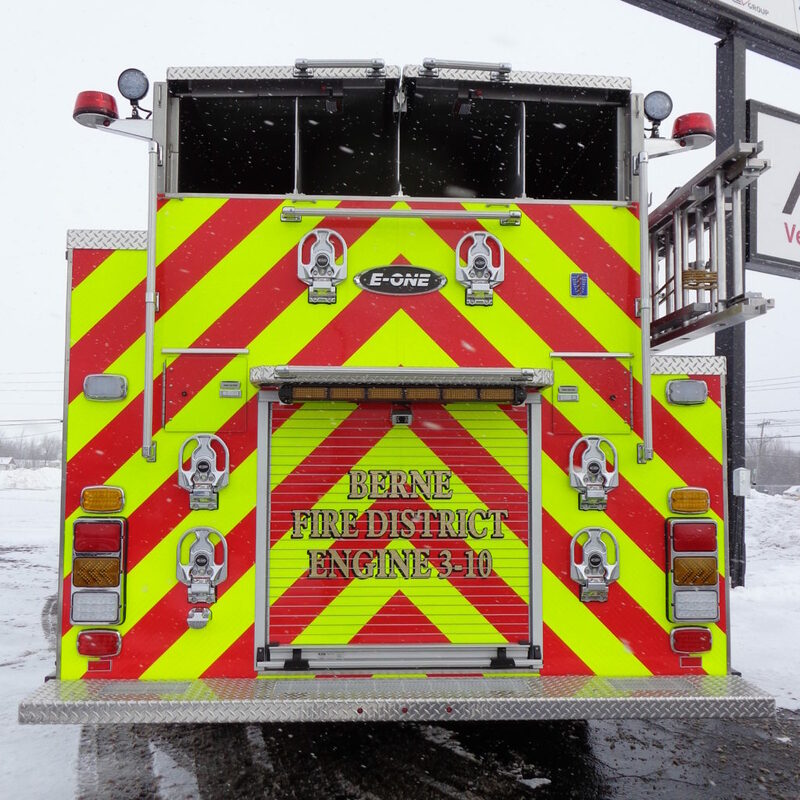 Thank you to the Berne Fire District for choosing E-ONE! 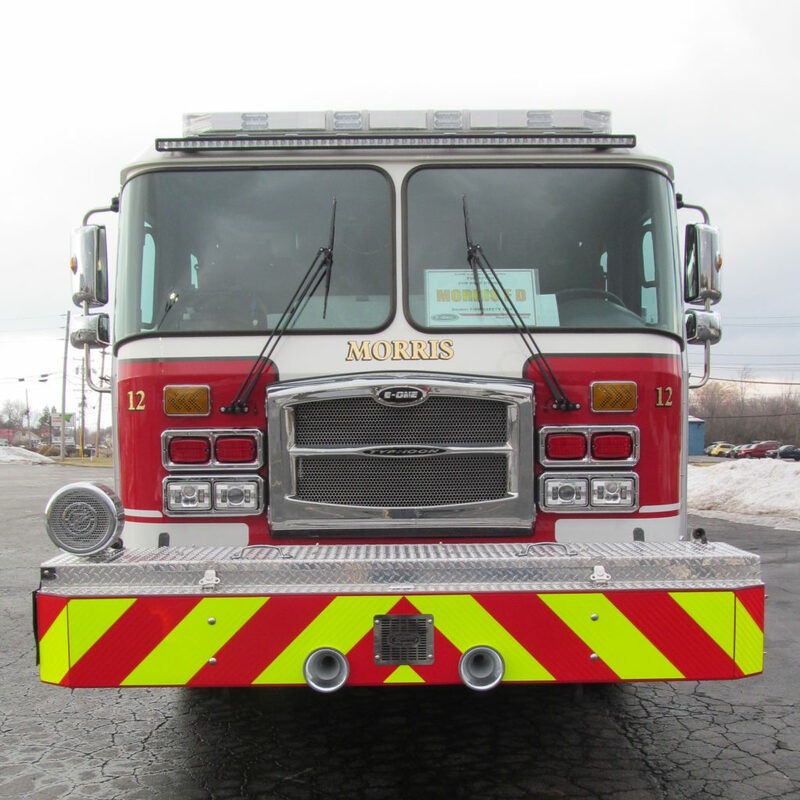 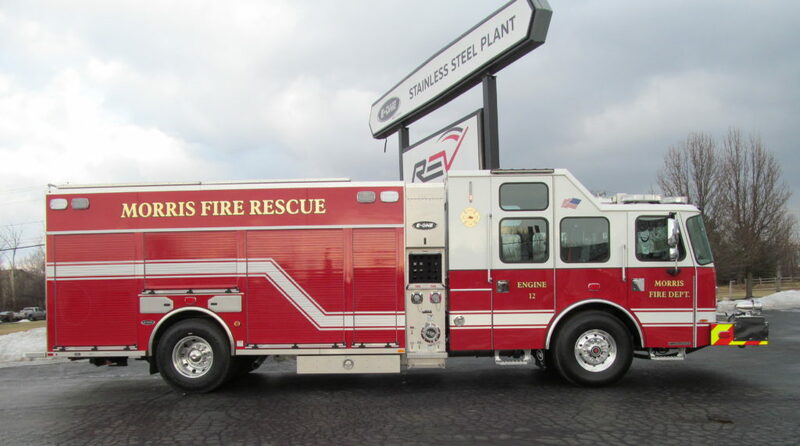 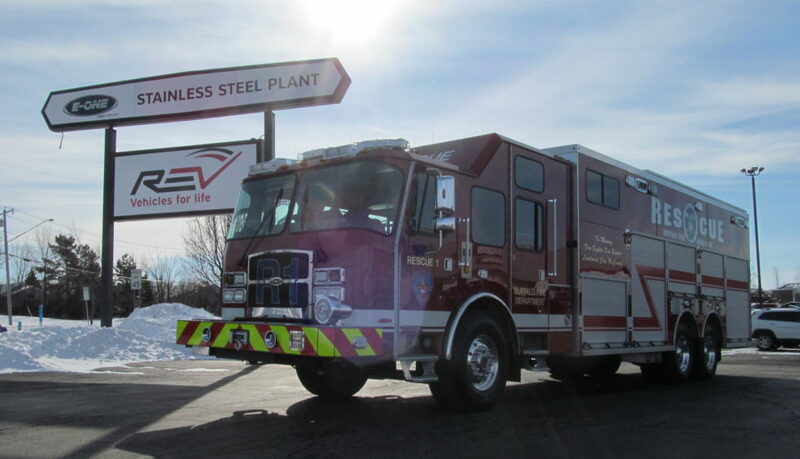 This E-ONE Stainless Steel Side Mount eMAX Rescue Pumper now resides with the Morris Fire Department in Minnesota. 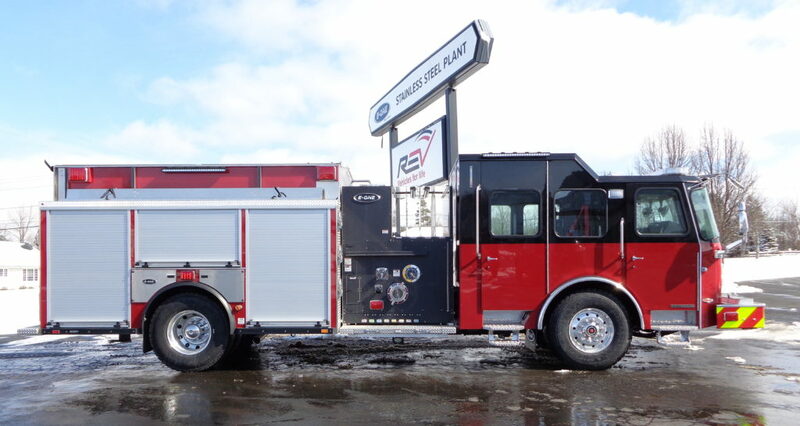 Manufactured in our Hamburg, NY, facility, it’s loaded with a Typhoon X extended cab with 80″ CA and 20″ Vista, Cummins L9 450HP engine, Waterous CXS-C20C 1500 GPM single stage pump, 1230 gal water tank, 30 gal foam tank, and a Smart Power 10KW hydraulic model HR-110 generator. 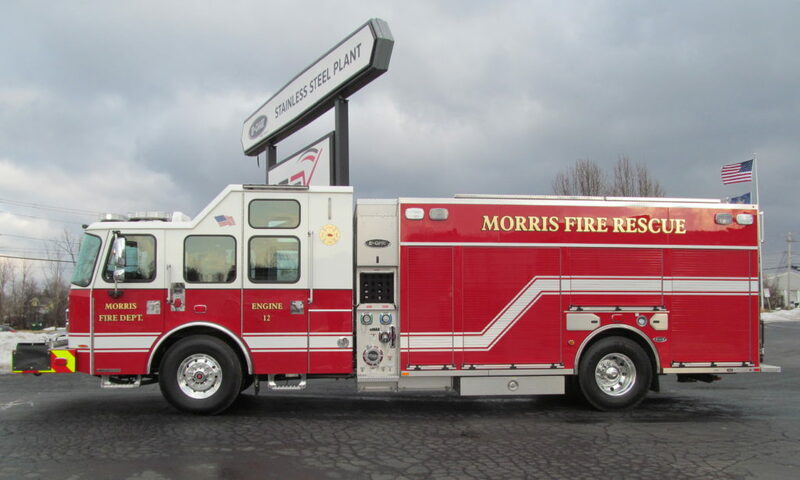 Thank you, Morris Fire Department, for allowing E-ONE to serve you! 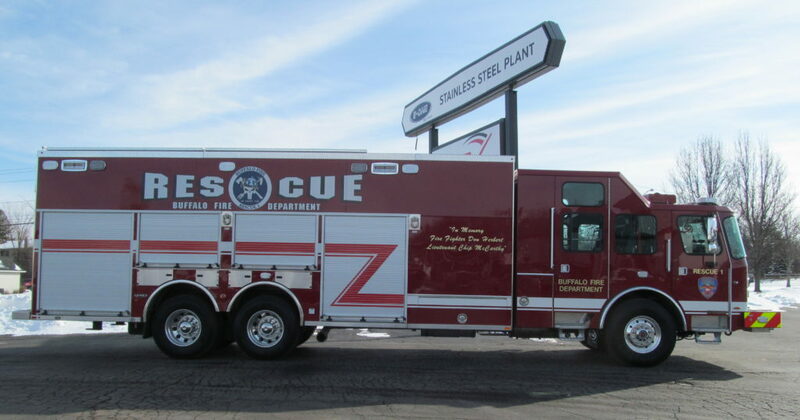 This E-ONE Stainless Steel Heavy Walk-In Rescue now resides with the Buffalo Fire Department. 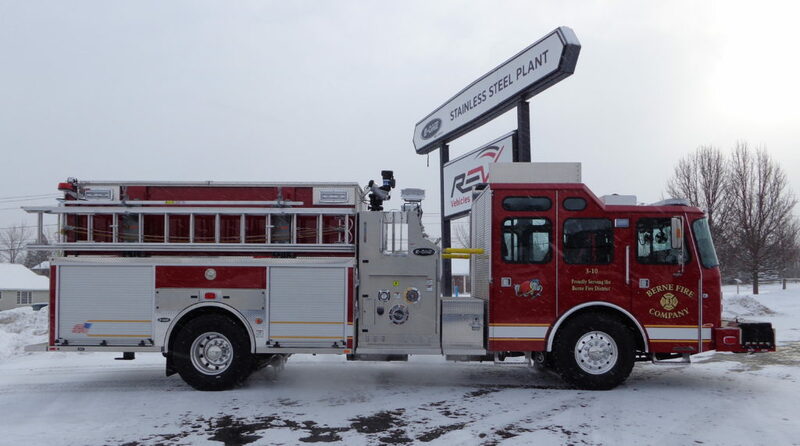 Manufactured in our nearby Hamburg, NY, facility, it’s equipped with a Cyclone II X extended cab with 80″ CA and 20″ Vista, Cummins ISX12 500HP engine, and an Onan 35KW PTO generator. 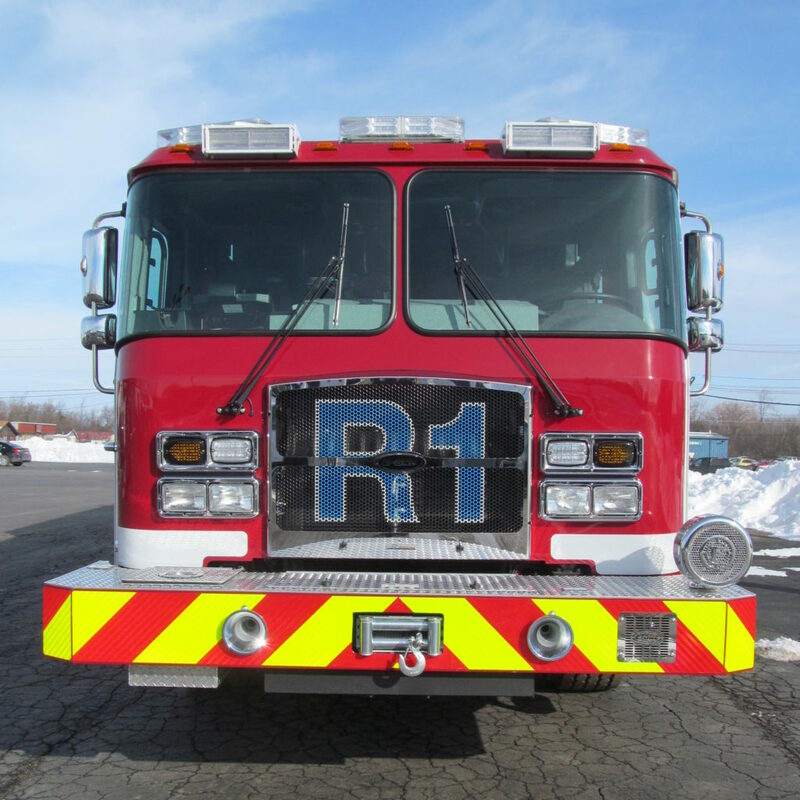 Thank you, Buffalo Fire Department, for continuing to choose E-ONE!